Australian company Makinex has released the new Hose 2 Go, a cord free water supply unit which Makinex says is able to be used constantly for up to 30 minutes without a refill. 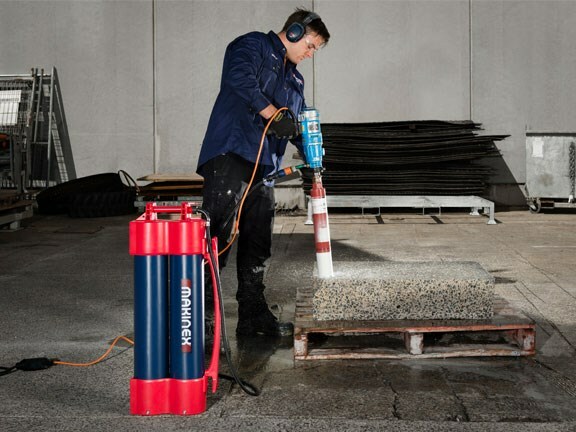 Makinex says the Hose 2 Go is versatile in terms of its use, but would best suit plumbing, flooring, core drilling, concrete cutting, and washing down equipment after use. The unit can be filled with tap-water, and then taken to where it is to be used, as it weighs less than 20kg when full up to its 13.8 litre capacity. Makinex says this will be a game changer for tradies who are tired of carrying hoses and cords around with their water equipment. The Hose 2 Go requires no manual pumping and no power source or battery. Makinex founder and award-winning designer Rory Kennard says Makinex’s investment into research and development and passion for increasing productivity in the construction industry leads to game-changing ideas. "We’re passionate about changing the way people work to be more efficient and safe, and what was apparent was that construction workers were constantly having to find a water source every time they drill, or they required one person to pump while the other did the cutting, which is a time wasting exercise," he says. "It’s like pouring money down the drain. 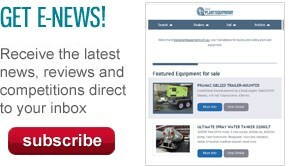 "Hose 2 Go has had amazing feedback on site… if we’re increasing productivity, and giving tradies tools which make their lives easier then we’ve done our job. "We really feel this is the most innovative product to hit the construction industry for a long time and we’re very excited to introduce it to the market." The Hose 2 Go is one of over 13 products Makinex has invented since starting up in 2004. 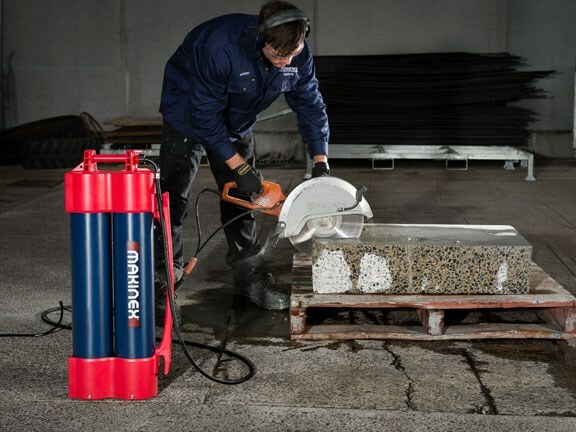 Others include the Makinex Dual Pressure Washer, Jack Hammer Trolley, and Powered Hand Truck which won Safe Work Australia’s Good Design Award earlier this year.